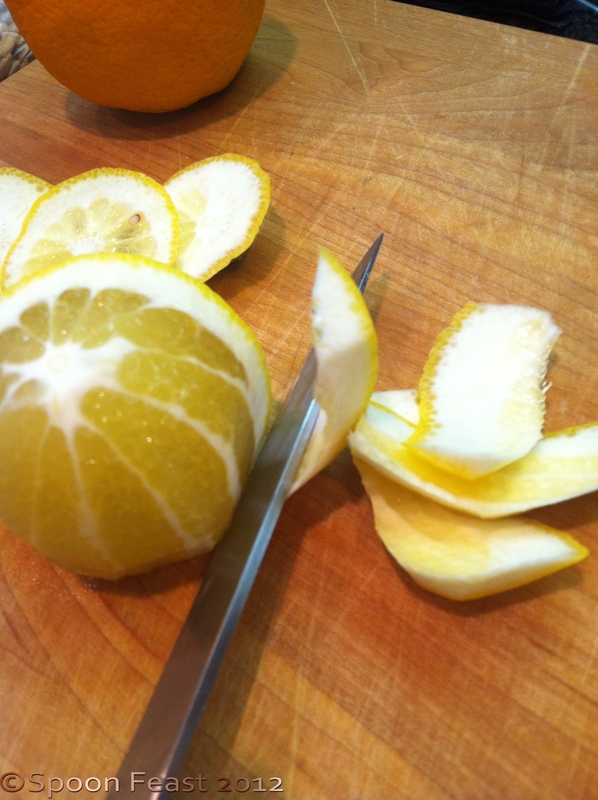 Cutting citrus fruit into sections, also called a supreme, is a basic skill. Culinary students should learn this skill in the first class they take. However, with that said, I find it odd that in class some students don’t know how to section citrus fruit, even in an advanced class. I also observed this student who once shown how to do it, passed it on to another team-mate to complete. They in turn, did something else. Not being my class, all I could do is observe and makes notes to myself. Note to self: Knife Skill Test; Measurement Test for class. If you are a student, consider this heads up! 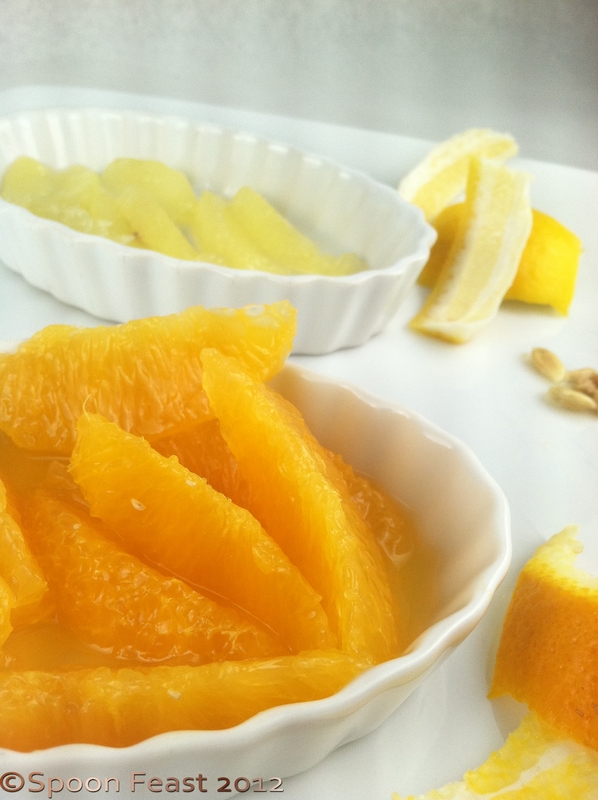 The process is quite simple and the technique applies to all citrus fruits. If you are going to want the zest for anything, remove the zest before removing the peel. Personally, I like to dry the zest and keep it handy for quick flavor blasts in a bland dish. Cut the top and bottom from the fruit. 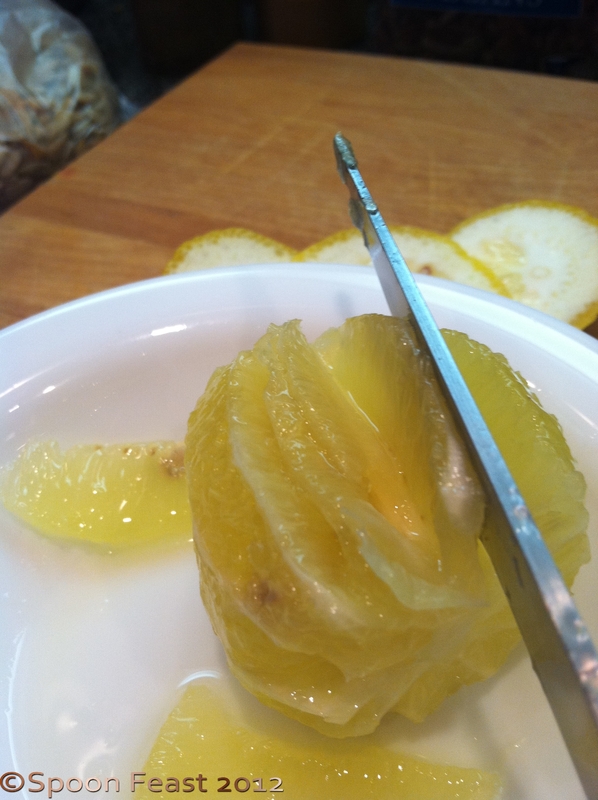 Cut the peel down the side, removing the pith and exposing the inner fruit. Cut the peel away all around the fruit. Work over a bowl to catch all the juices that drip while you cut the fruit sections out. 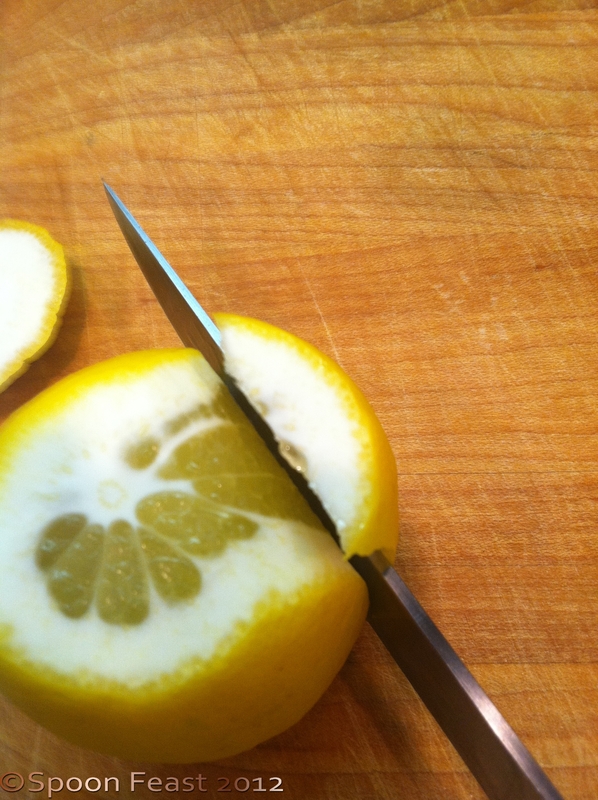 Using a sharp knife, cut between the membranes and slide the cut section into a bowl. Continue all around the fruit until all sections are removed. Squeeze the juice into the bowl with fruit sections. Discard remaining peel, any seeds and membrane. For total mileage, roll it in salt and give your copper pots a polish. 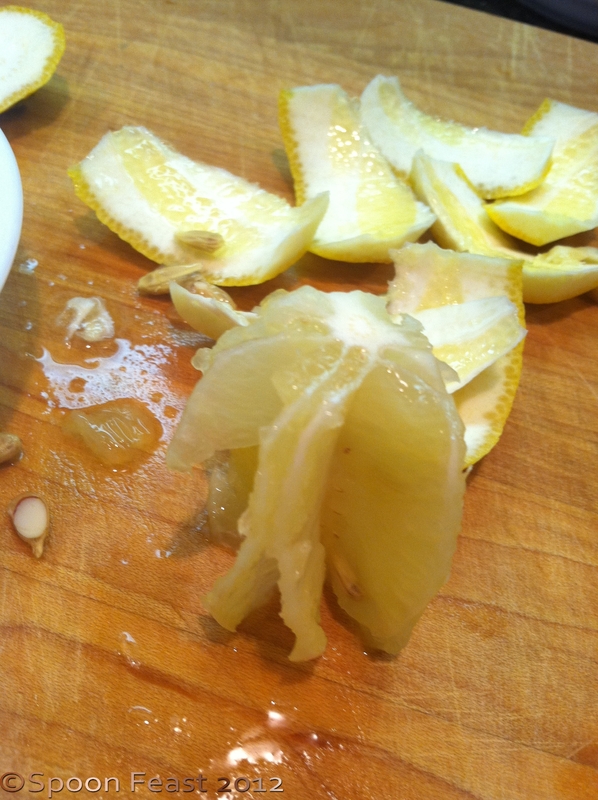 The sections should be free of seeds, pith and peel. Use them in salads, salsa, on grilled or fried meats or poultry or seafood. 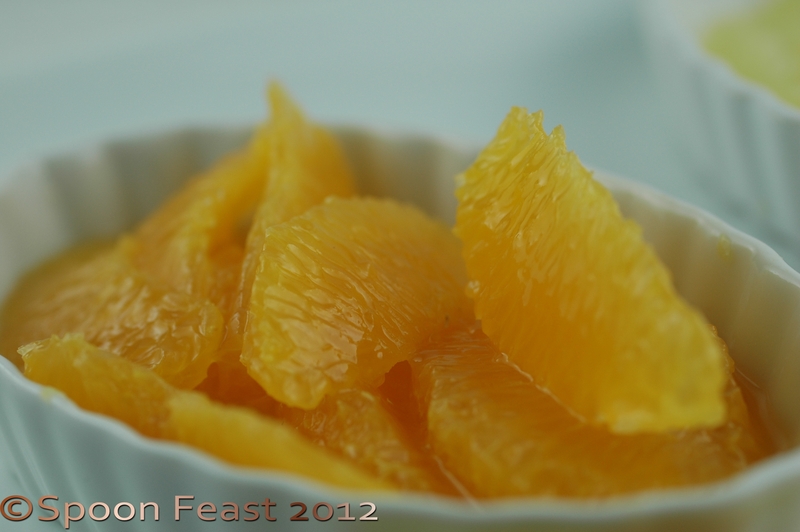 A bowl of citrus segments is really nice with vanilla ice cream or to accent fruit desserts. 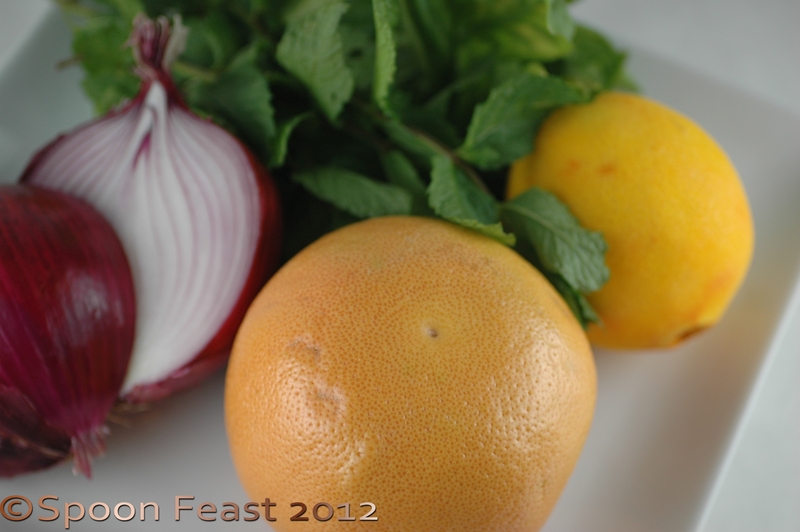 This entry was posted in basic skills, Recipes, Teaching Culinary School, To Tyler: How to Cook:, What every good cook should know and tagged Citrus, Citrus Fruit, Fruit, Ice cream, Zest (ingredient). Bookmark the permalink. 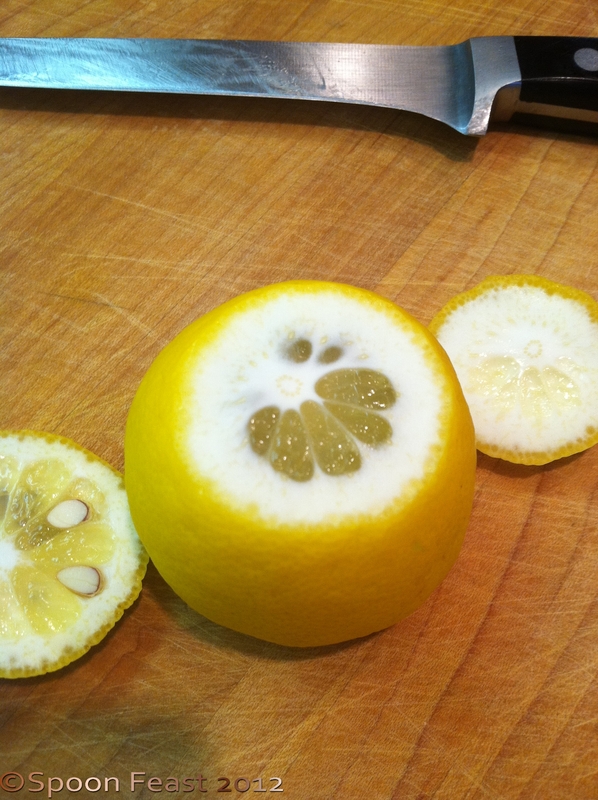 Citrus always looks so pretty cut like this. I love the construction of citrus, esp. with light shining through it. It smells good, tastes good and looks good too!